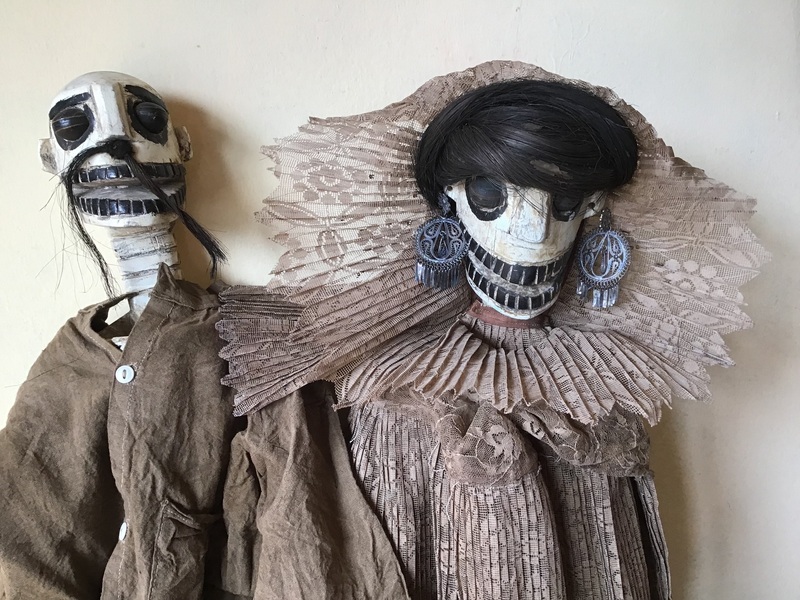 This striking sculpture was made by Miguel Linares of the famous Linares family in Mexico City which has made the art form of “cartonería” (papier-mâché sculptures) internationally famous. Alebrijes (fantasy animals), historical figures, characters from Mexican cartoons and folklore, and even the themes of Frida Kahlo’s paintings are translated into cartoneria sculptures. Characteristically, these figures are depicted as calaveras (skeletons) which, representing the "other" face of the Mexican lifecycle, are as involved in daily life and fiestas as the living. 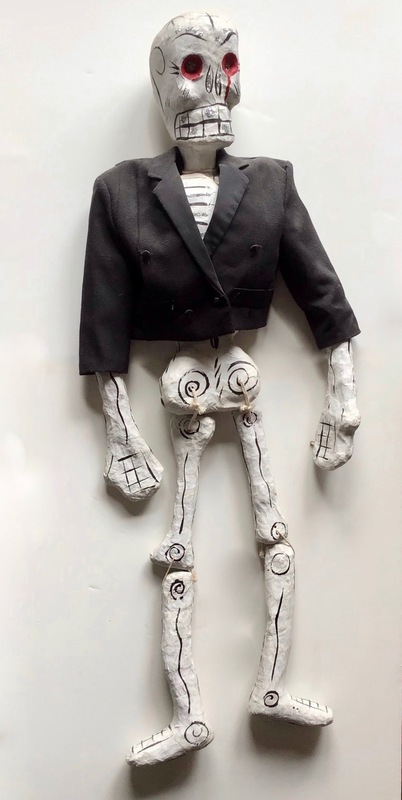 Since an early age Mexico City-born folk artist Saulo Moreno has created papier mache and alambroide figures (which have wire skeletons) like this piece which is based on an image by famous Mexican satirical printmaker José Guadalupe Posada. Like many of Posada's images, and with the same humor, it depicts a person from the lower social classes, a newspaper boy. This superb antique body mask represents the central character (Santiaguito,a diminuitive of Santiago) in an important Mexican dance drama imported from Spain during the Conquest. Such body masks are part the popular pageant re-enacting the story of Santiago (Saint James) and the battle of the Moors and Spanish Christians. The dancer would step into the body mask, Santiago's white horse, and become the horse’s rider. This dance also symbolizes the Spanish conquest of Mexico’s indigenous population. This unusual piece, carved from vulcanic stone, has the date year 1741 inscribed on its side. 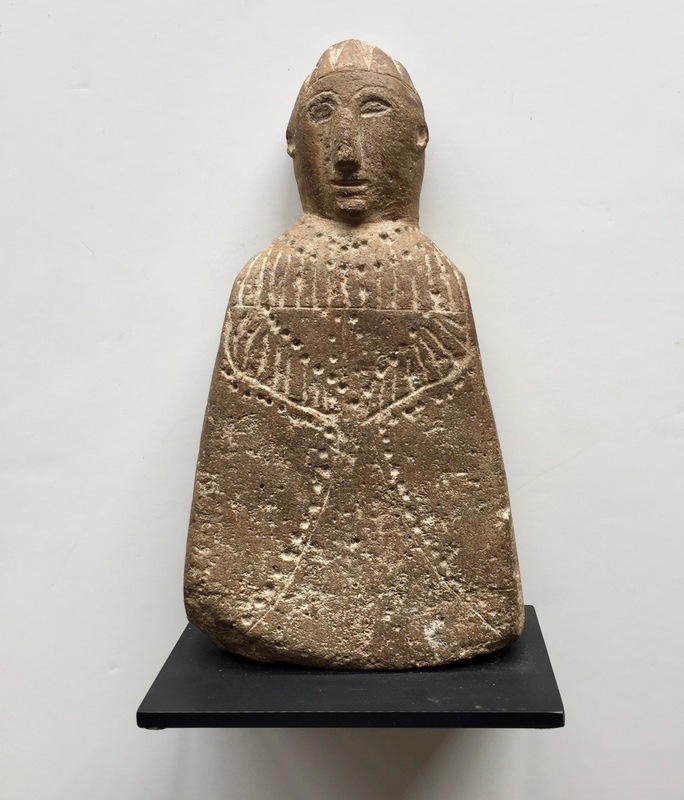 Despite the suggestion of a European-style garment, the sculpture more closely resembles a pre-Columbian deity than a Christian saint or virgin. 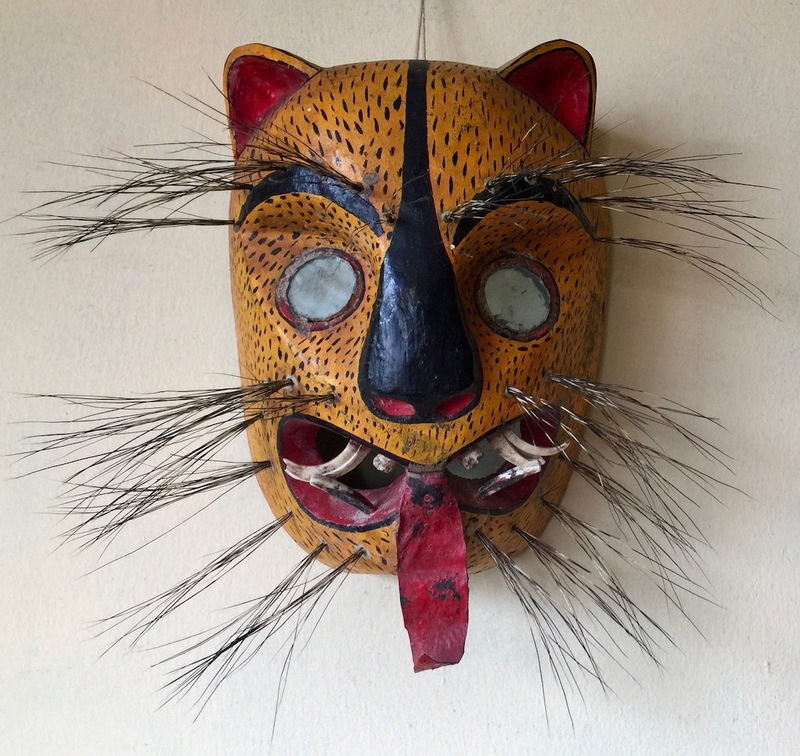 The "primitive" style of the sculpture suggests that its maker was an indigenous artist. Aside from Mexican masks, santos and other religious imagery, the MARIPOSA collection includes many vibrant examples of Mexican cartonería (paper sculpture) art, a traditional folk art form which combines pre-Hispanic styles with Spanish techniques and is deeply rooted in ancient Mexico's legends, traditions and craftsmanship. The now world-famous artist Pedro Linares reintroduced and popularized this folk art form through his brightly colored papier maché sculptures of skeletons and monstrous animals (alebrijes). Today, his son Miguel, an internationally known artists, other members of the Linares clan, and other cartonería artists in the Mexico City area continue this tradition.